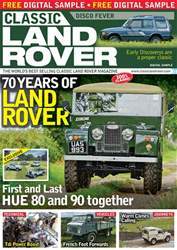 Get your FREE Sample issue of Classic Land Rover Magazine today! (1 Customer Reviews) | Write Review 12 issues per year Classic Land Rover Magazine - Buying, driving, modifying and restoring authentic classic Land Rovers. 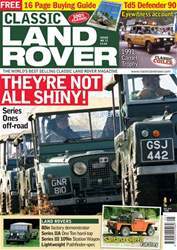 Classic Land Rover is an exciting new monthly magazine dedicated to Series and the classic Land Rovers. Written by enthusiasts, it is the complete guide to buying, owning, running, driving, repairing, modifying and restoring pre-nineties Land Rovers and Range Rover classics. Visually stunning with a contemporary design, Classic Land Rover combines the very best: restored Land Rovers, news and events, ‘how to’ technical features, historical articles plus off-road, greenlaning and overseas journeys. • Tech and Toolbox - sections dedicated to comprehensive workshop and practical Land Rover tasks. • Restoration features - classic Land Rovers enthusiasts have restored. • Vintage Britain – ‘out and about’ in interesting corners of Great Britain in classic Series Land Rovers. • Journeys - tales of adventure and accounts; off-roading and greenlaning and trips further afield to and from other continents. 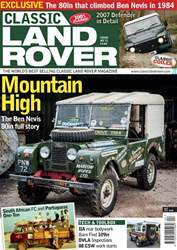 Looking for Classic Land Rover Magazine in print? Unfortunately pocketmags.com does not sell print copies of Classic Land Rover Magazine, but all is not lost. Our partner at magazine.co.uk sells print subscriptions at the best prices online. 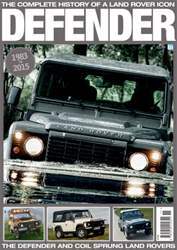 From the team behind Classic Land Rover magazine, Defender is a new 100-page special magazine detailing the complete history of a British icon that has become the definitive cross-country 4x4. It chronicles the numerous mechanical upgrades, series of special edition models and working vehicles as well as especially modified expedition and enthusiasts’ machines. These early coilers have a special place in the history of Land Rovers and need to be preserved. Paul Bracey’s Ninety was used in the 1986 Camel Trophy. It has seen more life than most Land Rovers but is still going strong. The Tomb Raider Defender was a short-lived experiment but great PR for Land Rover. Changing times at Land Rover led to the production of the 40th anniversary Ninety, the first in a sequence of anniversary models. It takes a special type of Defender to cope with the inhospitable Icelandic winter. 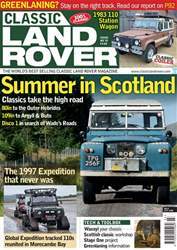 Classic Land Rover Magazine - Buying, driving, modifying and restoring authentic classic Land Rovers. • Club Reports - classic Land Rovers in action at both national and club events. • Land Rovers for sale – free classified reader adverts section. • Latest News - news from across the classic Land Rover scene including parts, politics and clubs. 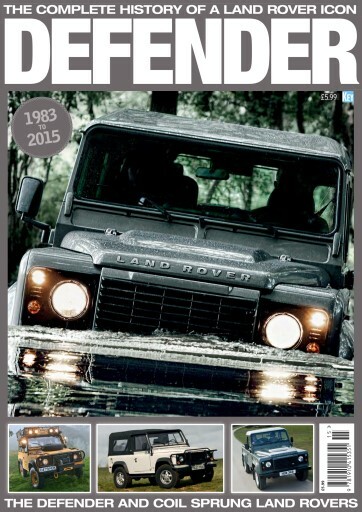 You'll receive 12 issues during a 1 year Classic Land Rover Magazine magazine subscription. If like me you're a classic Land Rover fanatic then you'll love this mag, full of inspiration and insight. You'll receive 12 issues during a 1 year Classic Land Rover Magazine magazine print subscription.